I did not grow up where rhubarbs grow. I hadn’t seen a single stalk of it till we lugged our life and luggage to England. Then, suddenly there they were, lying in their market stall. These lounging, stretching, graceful stalks. Pink and slender and as foreign as flamingoes. So, I admired their beauty, and skirted around them the way one skirts around beautiful, foreign things. But when you live in this country, rhubarb will find its way to you. 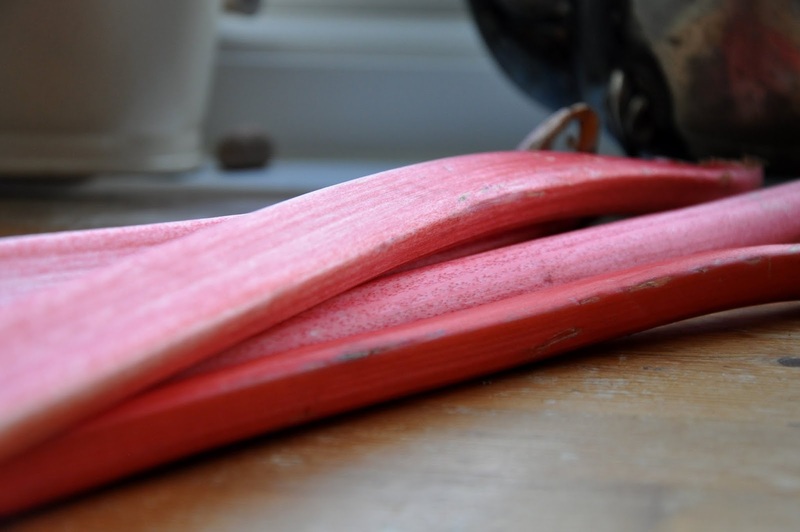 Rhubarb in ice-creams, rhubarb in pies, rhubarb with its feisty kick aimed at the corners of your jaw. Who’d have guessed? That this slender thing in its pink cocktail gown could kick like a ninja. I loved it. I loved the coy exterior and the tart within. Rhubarb has personality. It is what it is; you either like it, or you don’t. It’s Marmite vegetable. And to me, it’s as English as Marmite too. 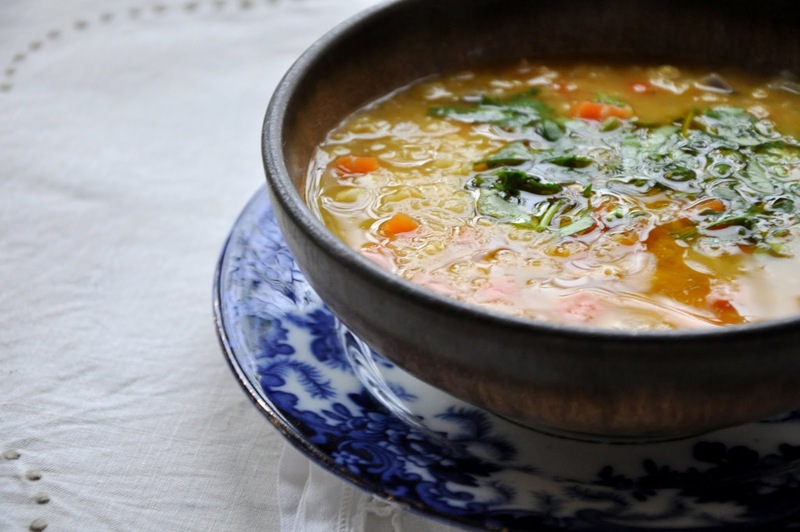 In my technicolour rhubarb-imagination, I can see it’s delicate stalks stewing on an AGA in an English country kitchen, then put in a pie and served to a lady, who, as the camera zooms in, I see is Beatrix Potter putting the finishing touches to Tabitha Twitchit’s prickles. 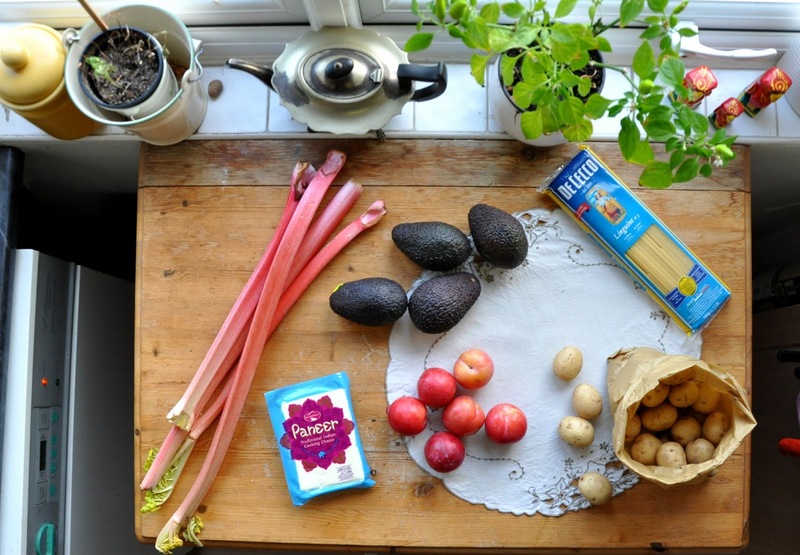 But what if you invited this English Rhubarb into a different kitchen, into my kitchen? 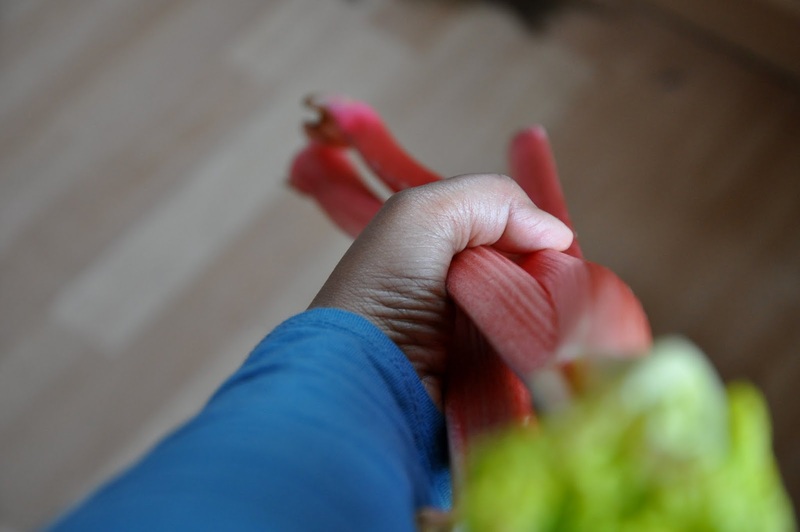 I bought six pink and well-mannered rhubarb stalks last week. D and Chotto-ma used half of the stalks to bake me a lovely cake on Mother’s Day. And I had my way with the other half. 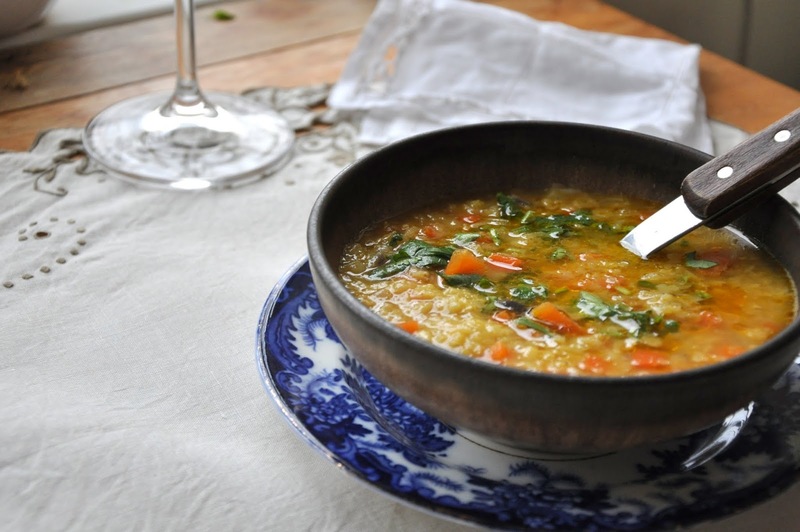 Heat the olive oil in a deep pot. 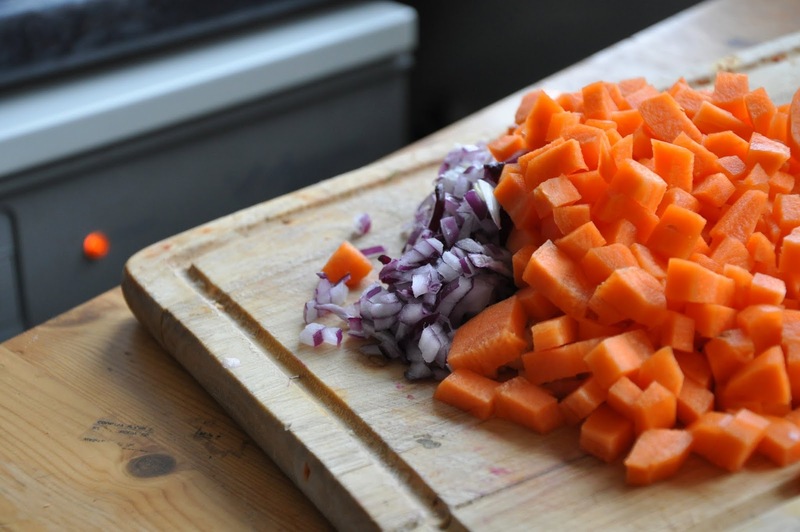 Throw the onions, garlic, carrots in together. Stir for two minutes, then add 4 cups of water. Add the lentils, rhubarb, half of the parsley (or coriander), ras-el-hanout, bayleaf, pepper and salt. 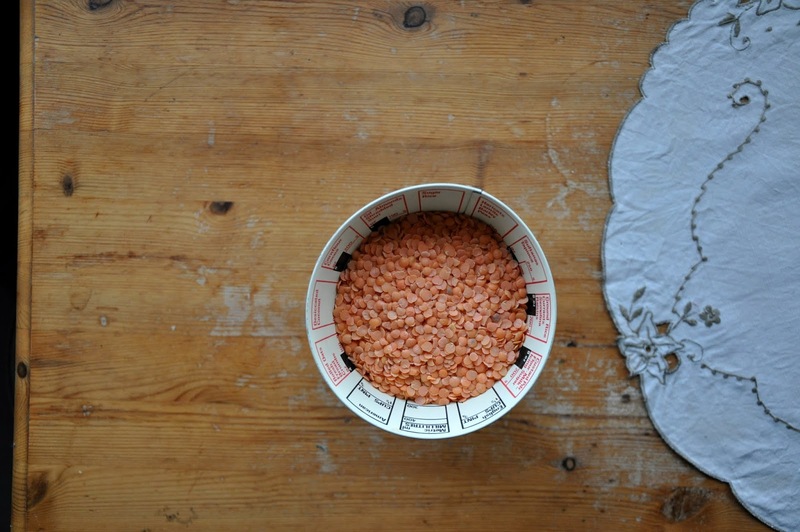 Cover and simmer till the lentils have split evenly. Add more water if needed. Taste for salt, simmer for a minute more giving it a good stir. 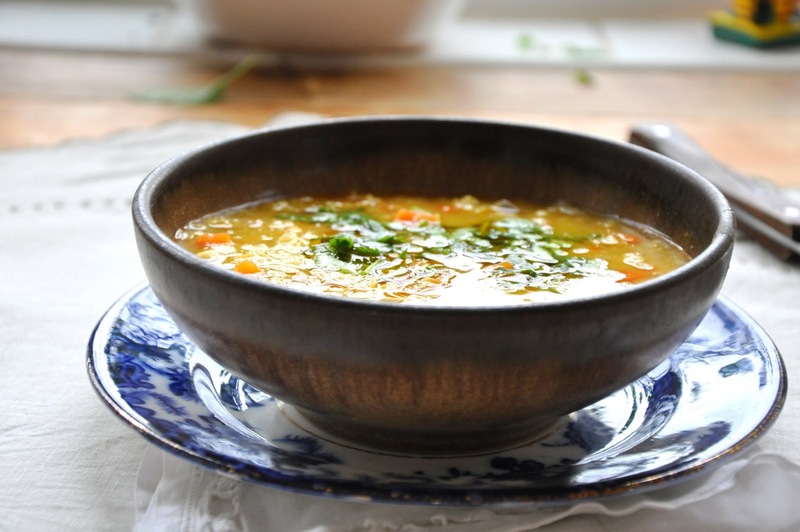 Serve hot garnished with the rest of the chopped parsley (or coriander). COMMENT CAVEAT: Many of you have written to me saying that comments you leave here are often not published. So, a little note: if you don’t see your comments here in 24 hours, please know that they have not reached me at all! Blogger can play up, and I hate to think that words you’ve taken time and care to write down have vanished. So please, email me your comments if you find them missing, at peppercornsinmypocket@gmail.com, and I promise to post them them here, and write back. 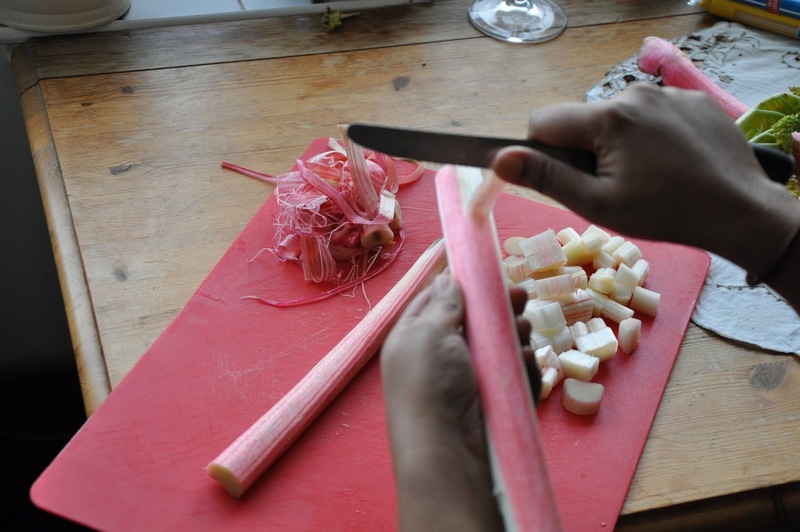 I have read about rhubarb being used in cooking, and have been quite intrigued by it too, but have never had a chance to see how it looks. Thanks to your pictures, now I do. 🙂 Would love to taste it some day. 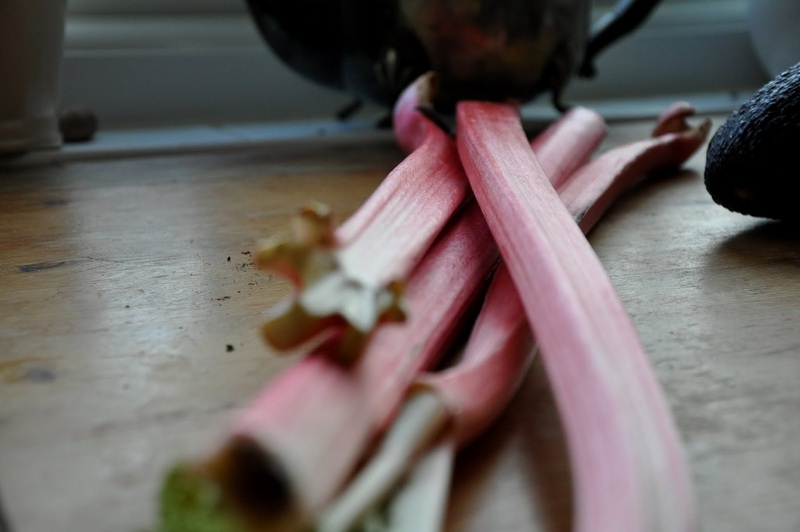 Rhubarb juice with fizzy water sounds lovely for the summer! The “coy exterior and the tart within” could well describe an Indian Plum too! Loved the descriptions!! Indian Plum, yes, amongst other things! Hi, does this freeze? I have a glut of rhubarb, LOVED your chutney so thought I'd give this a bash. 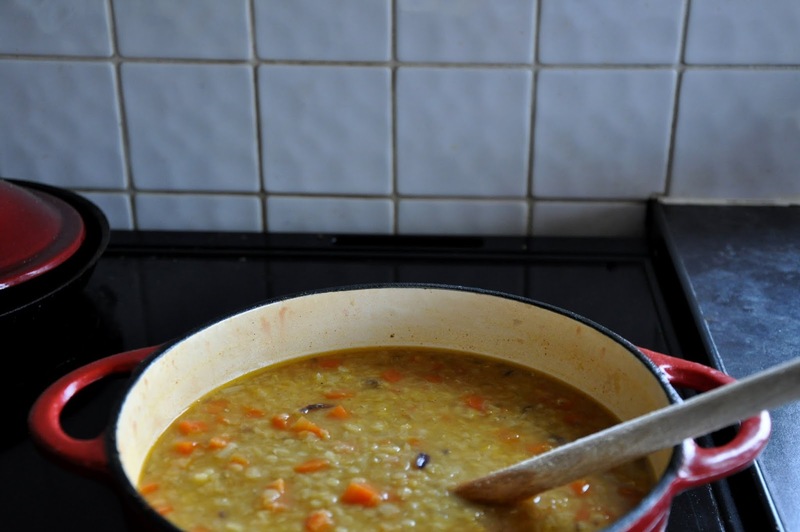 It should freeze, Jules – I haven't haven't tried freezing this, but I've frozen dal, and this is pretty much dal with rhubarb. Love that you enjoyed the chutney!